It's Halloween and some strange stuff is going down. A mystery is unfolding before your eyes. Someone tracked in a major mess, and that isn't mud on the runner. Mom will be beyond mad, she will be livid with rage. You know how she gets when you track in mud, but blood is a big deal! 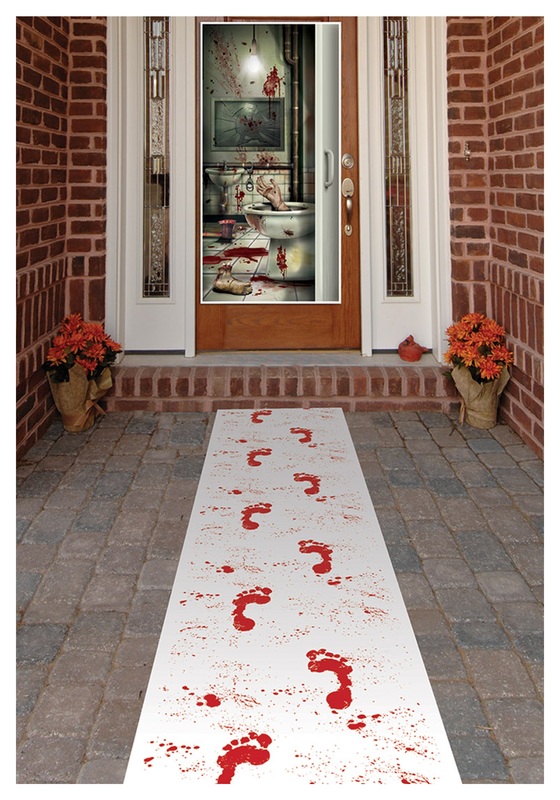 Whether you are hosting a murder mystery night, or a Halloween party, someone tracked in blood. Now you have a crime to solve! 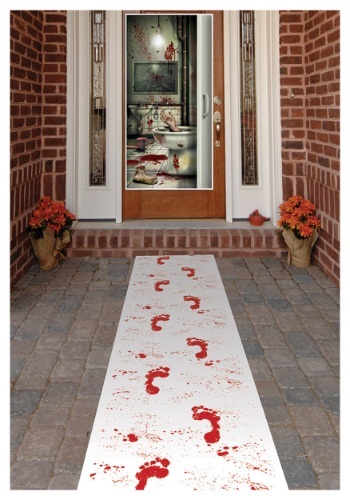 The runner is durable for both indoors and outdoors it is white with red drips and foot prints. It comes with double sided tape for placement that will stay put. Go and solve the mystery of the Bloody Footprints runner! But, be careful because you never know who is watching.